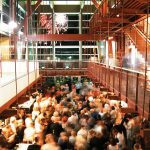 The Festival of the Sound began in 1979 and Directors soon set their sights on the development of “a suitable, architecturally artistic building”. 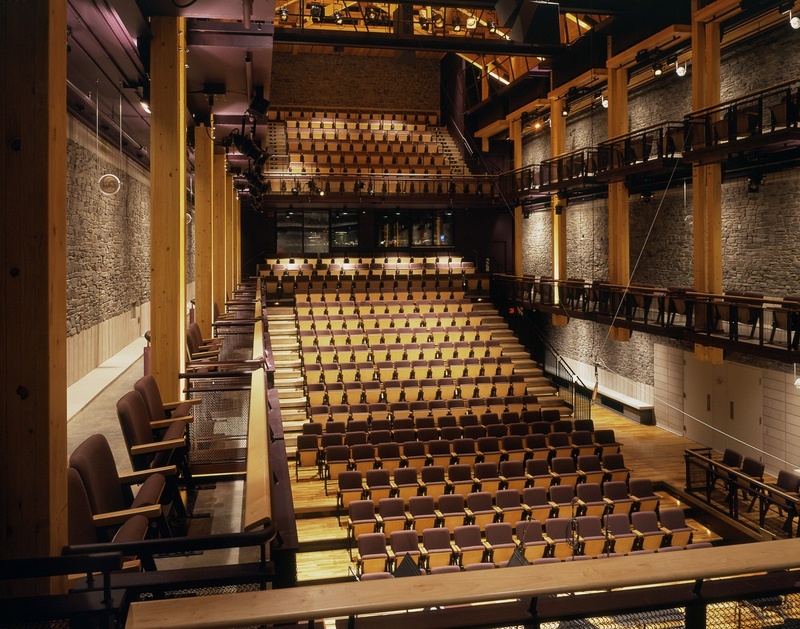 The construction of the Charles W. Stockey Centre for the Performing Arts fulfilled that dream. 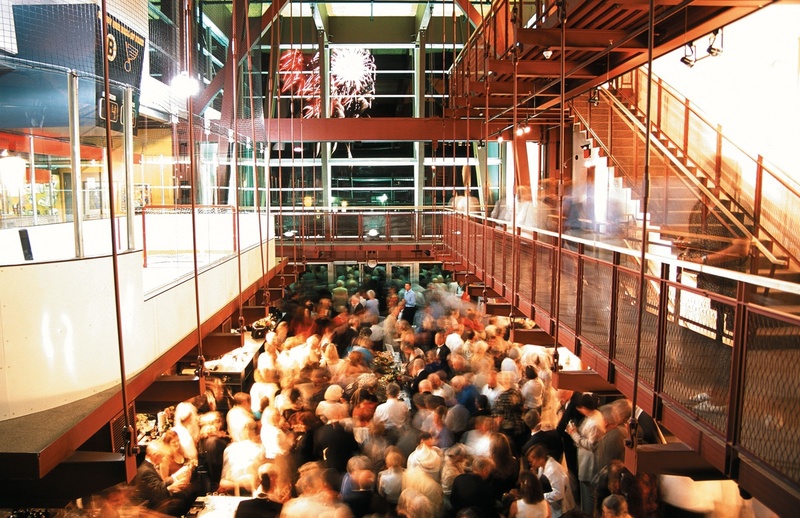 The Gala Opening of this spectacular facility took place on the first day of the 2003 Festival – July 18. 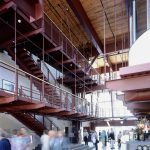 Georgian Bay’s natural stone and wood is showcased in the Charles W. Stockey Festival Performance Hall, an intimate 480-seat venue with the warmth and feel of an area cottage (although on a much grander scale!). 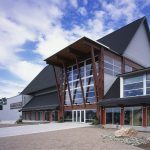 The building is also home to the Bobby Orr Hall of Fame, honoring Parry Sound’s most famous native son with a collection of memorabilia, exhibits and interactive games. 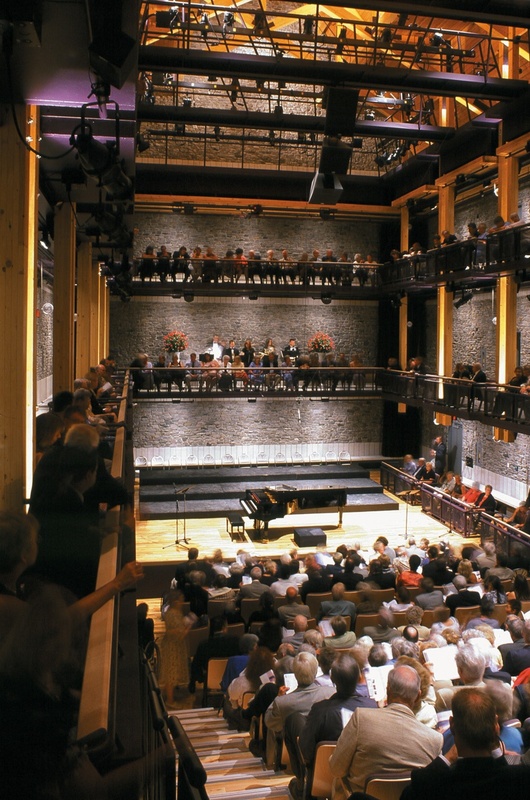 A common lobby is shared between the Performance Hall and the Hall of Fame. 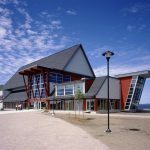 The complex also has two reception rooms, a fully equipped kitchen, dressing rooms and an expansive deck overlooking Georgian Bay. 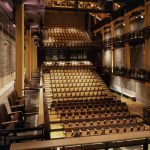 The seating on the main level of the performance hall is retractable, allowing the room to be used for dinners, receptions or meetings. 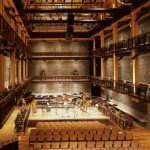 Heavy timber trusses, wood decking and natural granite from the local quarry on the walls of the concert hall provide an exceptional acoustical environment for the chamber music performed at the Festival of the Sound. 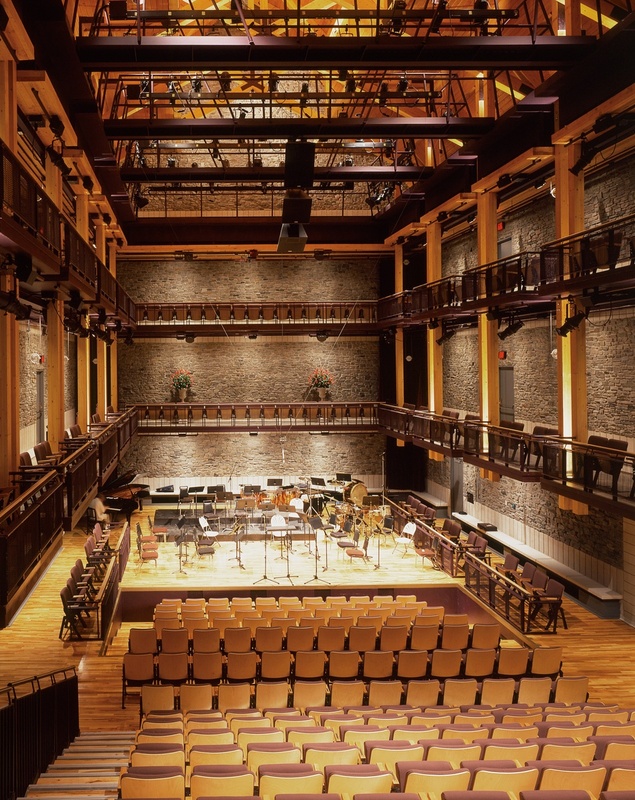 The acoustics in the hall are so exceptional that they demand a high level of performance from musicians and inspire audiences to listen intently. 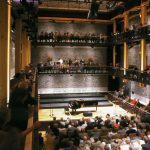 In reporting on the opening concerts in 2003, Toronto Star reviewer William Littler wrote, “The sounds I experienced possess a combination of warmth and clarity as impressive as I have encountered anywhere in a hall of this size.” This is high praise, coming from a writer who has sat in every major concert hall in the world. 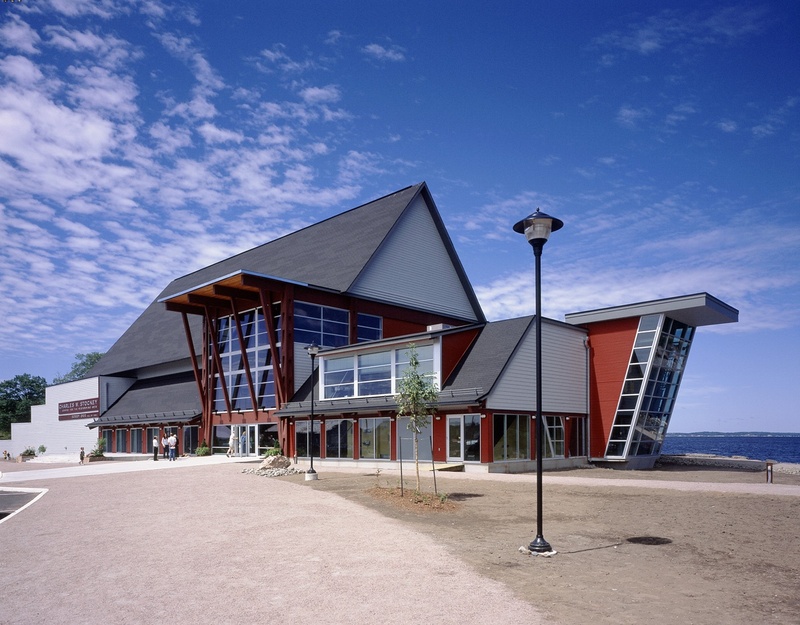 The Charles W. Stockey Centre for the Performing Arts, a $12.5 million project, was built with the support of the Northern Ontario Heritage Fund, Cultural Spaces Canada, Fednor, the Town of Parry Sound, area municipalities and a large number of individual and corporate donors. 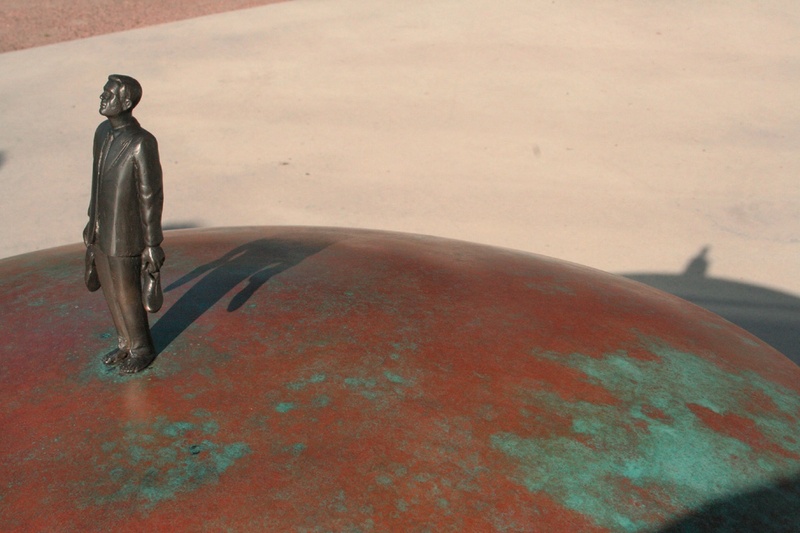 The lead donor, Charles W. Stockey, was an early associate Board member and Festival volunteer. 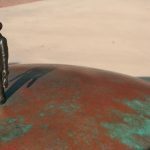 He moved to Victoria in 1986 for health reasons but never lost his interest in and love for the area. 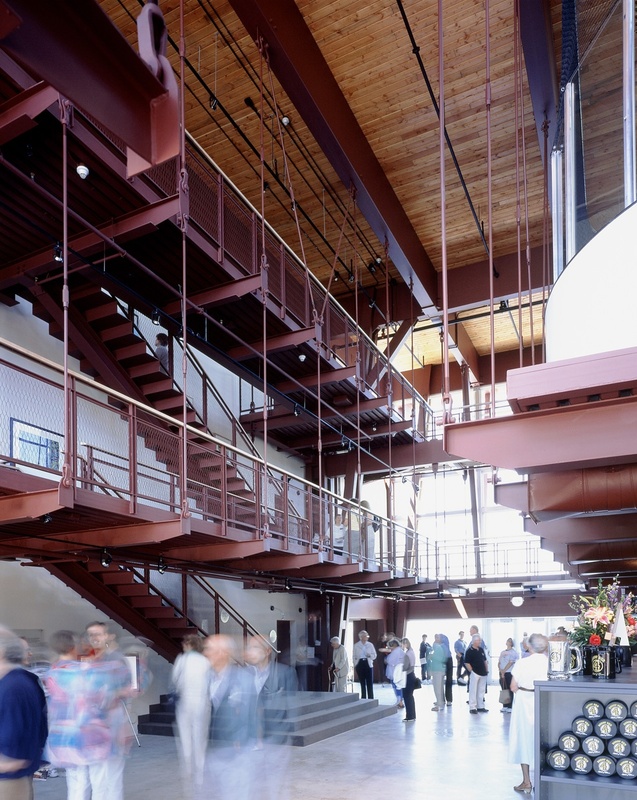 In 2002, a casual inquiry by Mr. Stockey about how things were going at the Festival of the Sound led to a renewed relationship and the $1.7 million donation that named both the building and the concert hall within it. 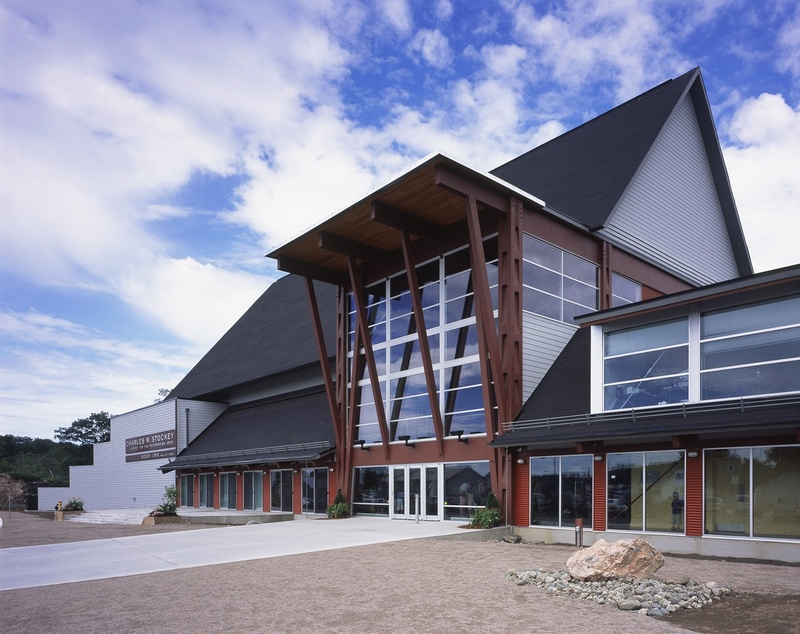 Structural Engineers – Carruthers & Wallace Ltd.
Acoustical Engineers – Artec Consultants Inc.
For more information on our venue, the Charles W. Stockey Centre for the Performing Arts, or to see about year round events, please visit the Stockey Centre website or call them at 1-877-746-4466.